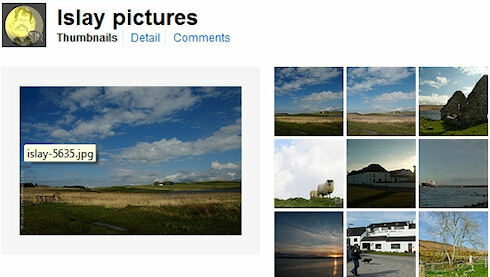 To see his pictures you need to go to the Islay pictures set on Rudy Marinus' Flickr stream. Among others there's a very nice sunset, an RSPB employee spotted on Jura (not sure if she's was doing some guiding or just happened to be around) and a Dutch walker I happen to know. Not to forget quite a few sheep. There's more from Rudy on his website and you can also find him on Twitter under rudy_marinus. I hope you've enjoyed his pictures!